Celtic boss Brendan Rodgers has admitted his delight with Oliver Burke after the attacker grabbed a brace in the 4-0 destruction of St Mirren at Celtic Park on Wednesday night. Rodgers again fielded Burke in attack and the winger, on loan from West Brom, scored in the eleventh and 55th minutes to help the Bhoys take all three points. 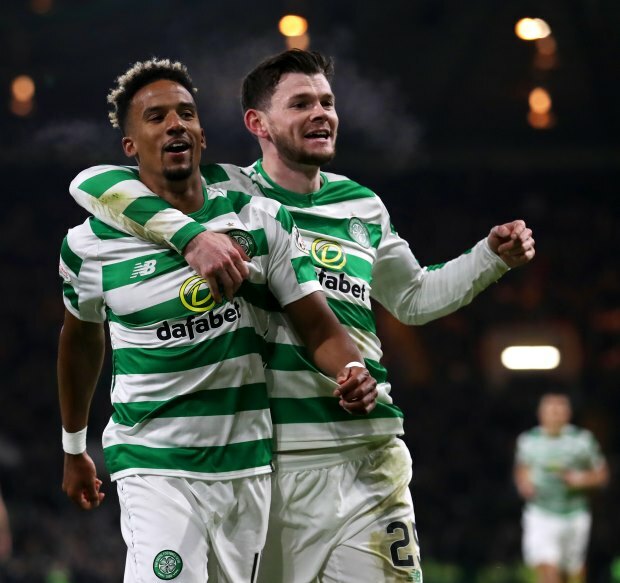 Scott Sinclair, from the penalty spot, and new signing Timothy Weah, on off the bench, provided Celtic's other goals. Rodgers was quick to express his delight with Burke post match and says the West Brom star has quickly settled in at the club. Rodgers was quoted as saying by BBC Scotland that Burke is a "big talent, who needs guiding." And the Northern Irishman added: "He's here to help us and he's here to develop as a player. "He's fitted in very well and he's still building relationships with his new team-mates." Despite beating St Mirren while Rangers lost at Kilmarnock, Celtic are just one point clear at the top of the Scottish Premiership standings, with Steve Clarke's side only a point behind. However, Celtic have played one game fewer than the three sides behind them in the table (Kilmarnock, Rangers, Aberdeen).